Eisha and I couldn’t be happier that school librarian Camille Powell (or, Miss BookMoot — “Jenny Holm called me that one time and I quite liked the sound of it,” she told us) is our first blogger interview of this new year. We already liked her blog BookMoot and had the pleasure of meeting her briefly in Chicago at the 1st Annual Kidlitosphere Conference, but then she gave us the fabulous responses below in this blogger interview, and we like her even more. If I could only hand-pick school librarians for my daughters . . . Ah, if only. Camille would be first on the list. And if you read BookMoot, you probably know well her passion for school librarianship and getting good books in the hands of children. However, if you don’t read BookMoot on a regular basis, then keep reading. Her thoughts on “good books” in this introduction to her short Q & A and her response to the Pivot what-turns-you-on question (and what-turns-you-off, for that matter) show your more run-of-the-mill librarians what having commitment to and passion for school librarianship is all about. Snap, snap. (And could there be a lovelier, more sincere response to the prom-date question?). Remember our most recent blogger interview with the honorable Tasha Saecker of Kids Lit? Tasha’s been blogging for approximately five years now, and BookMoot is about to turn four years old. Yup, another dinosaur blog in the kidlitosphere, considering the very young age of most blogs. Thank goodness we had smart, enthusiastic librarians like Tasha and Camille (and others, to be sure) to show us the way. As you’ll read below, we have Camille’s husband to thank for suggesting she start a blog in the first place. Originally a corporate librarian, who worked with technical data and research, I was very content to revisit that magic time of reading unconscious delight through my children until my youngest looked like she would always prefer Power Rangers to the printed word. I began to really understand and experience the anxiety parents feel about their child’s reading ability, and sharing my love and enthusiasm for children’s books beyond my immediate family circle began to seem like a calling. BookMoot was originally my way of pondering the most fascinating part of being a school librarian: Why do some kids love to read and others do not? What books do those avid readers love? What can I do to convince nonreaders or struggling readers that books are worth their time and attention? I really believe the saying that “the right book at the right time with the right child will make a reader.” Making that match is what it is all about. The perennial question in any school library is “Where are the GOOD books?” — as if the “good” books are hidden away in the librarian’s office. Kids want to know about books and appreciate book talks and personal suggestions. Sometimes, they just need some individual attention. The librarian is in a unique place to fill that need by just walking the stacks and talking with them or being there to talk to during lunch or homeroom. It has been my privilege and great fun to share “good” books with folk of all ages in schools and through BookMoot. I don’t really have any regular features though I always enjoy sharing those interesting moments I experience in the different school libraries where I work. I also hope to encourage and support school librarians who have too little time to do all the good work they want to do. If my modest exhortations or suggestions from time to time are useful, I am happy. I think Eisha and I speak for a lot of bloggers when we say her exhortations are way beyond “useful,” indeed. Many thanks to Camille for stopping by to cyber-visit us. She’s a member of the judging panel for the Nonfiction (MG/YA) category for the Cybils 2007, so we’re glad she had a moment amidst all her reading and evaluating to chat with us. Here she is, the one and only Miss BookMoot . . .
Camille: Well, besides being an ongoing parental unit, I am a school librarian, currently working as a librarian substitute. Having any substitute in a school library can be problematic, but I know the district and the automation systems, so I am not an overt danger to the circulation records. Plus I can do things for the librarians, like catalog the nasty AV and realia materials they don’t have time for. Dragon and I also do some storytelling. He really loves going to schools to read and kids seem to like him, even though he is a disagreeable, snarky, and disrespectful creature. I don’t know why I put up with him. Camille: Gosh, since June 2004, 3.58 years now. Camille: When I needed to downsize my day job, my students asked, “Who is going to tell us about the ‘good’ books if you leave?” So my husband, who is very wise, suggested I start a blog. I used the name BookMoot (à la entmoot) because that was what we called our lunch-time book group at my school. It has grown into so much more than I could have ever imagined. I was standing in line to get some books signed by Mo Willems at TLA last spring and started talking with the person in front of me. She asked me what was BookMoot, referring to my name badge, and another lovely person in the next turn of the line overheard her and said, “You are BookMoot? I read your blog all the time!” God bless her, I was quite amazed. Camille: I am a quilter. I am also trying to learn how to knit socks. Sock-knitting is a useful skill. People have known how to knit socks since forever. Surely, I can figure it out? Camille: I lived in The Hague, The Netherlands as a kid. It was a magic time, very little television and it was there I discovered books and reading thanks to the librarian at my school. My Dutch has fallen away, but I could still manage to eat quite well there. Yummm… patates frite mit frietsaus, pannekoeken, Droste, Verkade, Indonesian ristafel. Camille: Van Morrison’s Live at Austin City Limits Festival; the Scottish group Back of the Moon’s Luminosity; Annie Get Your Gun with Mary Martin and John Raitt; Lyle Lovett’s The Road to Ensenada; Dawn Upshaw sings Rodgers and Hart. I’m also working my way through the Keys to the Kingdom series by Garth Nix. I love Alan Corduner’s narration. 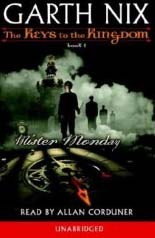 I am also listening to Dairy Queen by Catherine Murdock, great narrator. Camille: Well, since I am dreaming . . . Jack Gantos, Jack Gantos . . . did I say Jack Gantos? I wish he would start a blog. Katie (K.M.) Grant writes lovely historical fiction, and I enjoy her blog posts at DeGranville so much. I heard her speak at TLA and she was perfectly hilarious. The third slot has so many contenders, but after much reflection and the fact that I have just finished one of her books, I would have to add Eva Ibbotson. Her descriptive writing and subtle humor are so satisfying to me. Reading her books is the closest thing I have ever experienced to recapturing those happy hours of reading as a child. Camille: School libraries. They are so important! There is so much to share with kids, so much for them to discover and learn. Young people can take their first steps toward learning anything and everything at a library. They don’t have to walk around in a straight line or be particularly quiet. When a youngster tells you about a book that they loved (maybe you shared it with them or told them about it), well . . . there is just no other feeling like it. Camille: I guess ever since Gutenberg began printing and books became widely available, there have been people trying to control what we read. I despair over book protests and book banning. As a school librarian, I’ve had “input” from every political, religious, and secular corner about the books in the collection. Of course, folks have different points of view. Isn’t it glorious that we live in a country where we enjoy that freedom to choose what we read? Students are particularly vulnerable when books are banned, because the school library is the only library that they have regular and easy access to. The platitude “Well, they can get the material at the bookstore or public library” doesn’t wash and should not be a balm for anyone’s conscience. I also wish folks would read the books before they call for them to be pulled, boycotted, or censored. It is hard to discuss books in bumper sticker slogans or email hyperbole. If you wouldn’t invest money in a pyramid scheme that you heard about in an email, why would you invest your intellectual capital without further investigation? Camille: I discovered that one benefit of motherhood was the inability to shape my lips to some of my favorite and frequent exclamations. 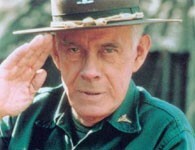 I tend to take a page from Colonel Sherman T. Potter in M.A.S.H. and deploy some of his imprecations, such as “monkey muffins,” or terminology of my own invention. Alas, if taken by surprise I do exclaim les gros mots en français. Camille: Music, music, music, especially my kids playing the piano, clarinet, and singing. My interests are very eclectic. Our lives are so filled with music; it is in elevators, grocery stores, blasting out of car windows. We have music “on demand” on the radio, TV, on the Internet. I don’t think we appreciate it. I lived without easy access to music for a year overseas once. I didn’t have a radio, and this was back in the days before iPods or even the Walkman. I learned how much I took music for granted — never again. Camille: I hate the sounds of trouble, such as screeching tires, wailing children, sirens, my dog retching . . .
Camille: Oh, I can just imagine being an archaeologist. Jules and Eisha…and, of course, Camille! Great interview! It’s surely evident how much Book Moot loves her children’s books. Her blog was one of the first I visited regularly when I began reading blogs in the fall of 2006. Children are fortunate to have Camille working in their library. I, too, loved being an elementary librarian. I think it’s the best job in the world. I loved reading this interview. Good one, Camille, Eisha, and Jules. Lovely. Camille is really wonderful. Yay, Camille! Thank you, Jules and Eisha for bringing us this interview. Meeting Camille in Chicago was a real high point for me. I was starstruck! Wonderful interview! Thanks for letting us get to know Camille better. You’re right, she is a gem. Yet another person who considers M.A.S.H. reruns as a guide to life. I knew there was another reason I just loved Book Moot! I love Camille’s enthusiasms, and her eloquent railing against the Dork Is Rising movie, and how she talks about her family. Great interview! And the Dragon is so cute. Ah, Camille, I got to sit next to you in Chicago, but we should have arranged for our dragons to meet. Mine has three heads, but it’s friendly. 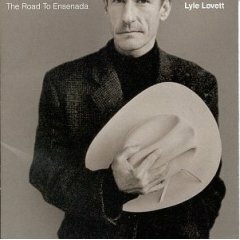 I like Lyle Lovett, too. Great interview, J & e! Great fun learning more about this special lady. I love her blog – esp when she’s on “the front lines” at the different school libraries. Such insight she has at her fingertips. Great stuff, J&E! And Camille, we are soul sisters in so many ways. Loved the school libraries response. I have such fond memories of my own elementary school library, and I’m so glad for all that you do at your blog and at schools. Oh, and the thing with asking kids at Halloween about their favorites books is also very very cool. Camille! If you ever come back to Chicago, bring Dragon. I have dozens of other puppets and we can have a party! Great interview! Hurrah, Camille and 7-Imp! Bonus points to Camille for listing her blog time with DECIMAL PLACES! Sorry I’m late to the party, but great interview! I love your answer about the sound or noise you hate – sounds of trouble. That’s so true! And I got a good laugh at “Anime convention planner!” It’s good to get to know another kidlitosphere regular better. Determining who invented radio (Tesla or Marconi) has real implications, but it doesnt change the fact that we have such a thing as radio and the impact it had on society and the way it communicates.